Few movies show positive and constructive roles too, and not all movies are evil or immoral. It however essentially depends wholly on the focus and topic of the movie. Some movies try to generate alertness about the socioeconomic or political set of circumstances of different countries. It broadens understanding about the vices like drug abuse, alcoholism, HIV, and the evils of having multiple sexual partners. Cinema helps in building appreciation about the significance of education, medicine, art and politics. It also conveys us to know more about the evil of the destitute, and the troubles of underdeveloped countries, and countries suffering by years of war. All these movie genres help awaken our sense of responsibly and empathy towards such situations. These socially informative movies assist us to understand the meaning which was being delivered. It impacts our thinking in an optimistic way and helps us try to be of some benefit te society. There have been instances where people have taken up animal protection and human right activities after being stirred by a movie they watched. Movies helthe p improvement of our imagination. We reflect about the things we watch and then we take our imaginings a little further and envisage. 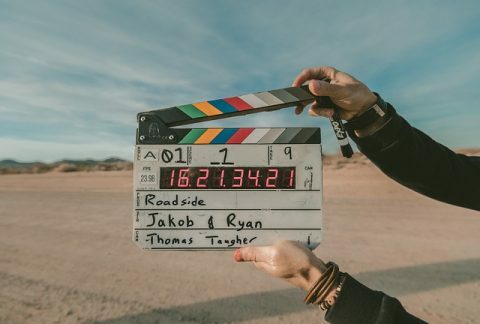 Even young aspiring actors and technicians are eager to join the movie industry, only because they too will get to discover their creativity and create some inspiring content. The movie industry has played a huge part in creating valuable employment for large number of people. Naturally, making and producing a movie, has a varied scope for fresh talent. However, it requires specialized training and knowledge, in order to work for a movie. Movies is an escape mechanism for people who hope to forget about their fears, frustrations and stress, even if the effect last for only a short period of time. It entertains them and makes them focus of things which have nothing to do with their own personal lives. Movies are productively able to affect its viewers to a very large extent, which is precisely what the advertising industry exploits on. They use a few seconds of movie footage to advertise their products to the whole world. For instance, a new car model, or new designer clothes and accessories, are presented to the world by the actors enacting their roles. This alerts us of the new product, makes us interested and involved. This leads to us finding out about the new product through the internet or through commercials. Thus, the circle of advertising and communication of the information continues in a move smoothly, without draining the pockets of the advertising companies. Everything we watch and listen to, affects and influences us at some level or the other. We try to emulate them and behave like them. We emulate their newest fashion trends, the way they speak, and the lifestyles they lead, both on and off-screen. We are interested in finding out every little detail about their personal and private lives. This is precisely the reason why smoking in movies has been banned, as people watch their favored actors smoking on-screen and it makes them feel that they too must try it. We think that it is the stylish thing to do, and we do it because it makes us feel closer to our preferred actors. Cinema has affected our culture in so many different ways. For instance, movies are largely responsible to jeopardizing the very foundation of marriage. They make it appear like it’s usual to indulge in extramarital affairs, and polygamous relationships. However, in reali,ty it might turn out to be an awfully dangerous and damaging practice. Nonetheless, movies and their impact on society run very deep and has become an integral part of our very existence.